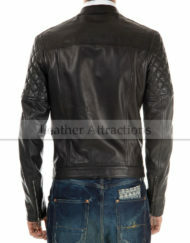 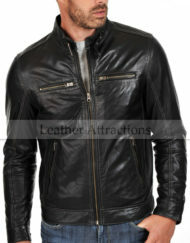 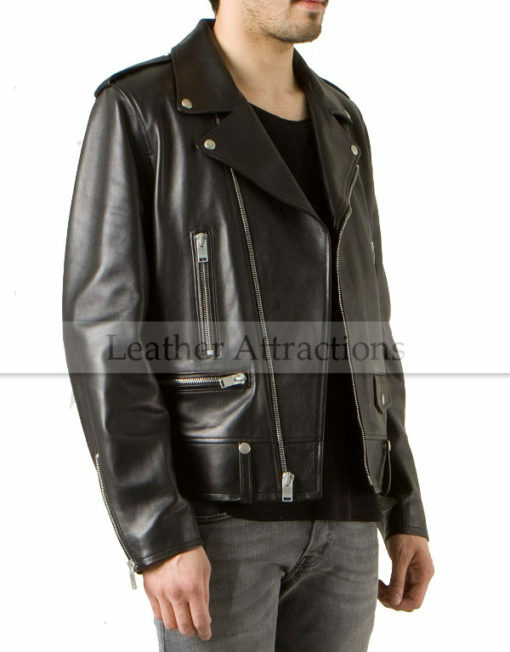 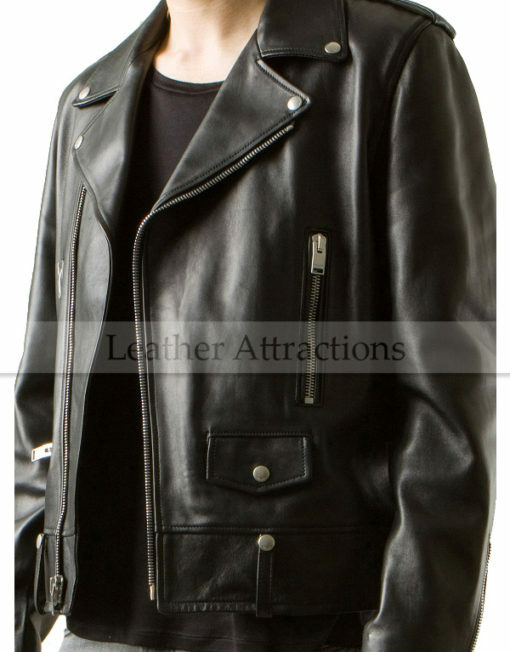 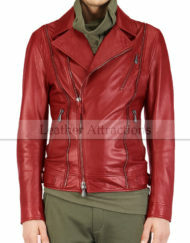 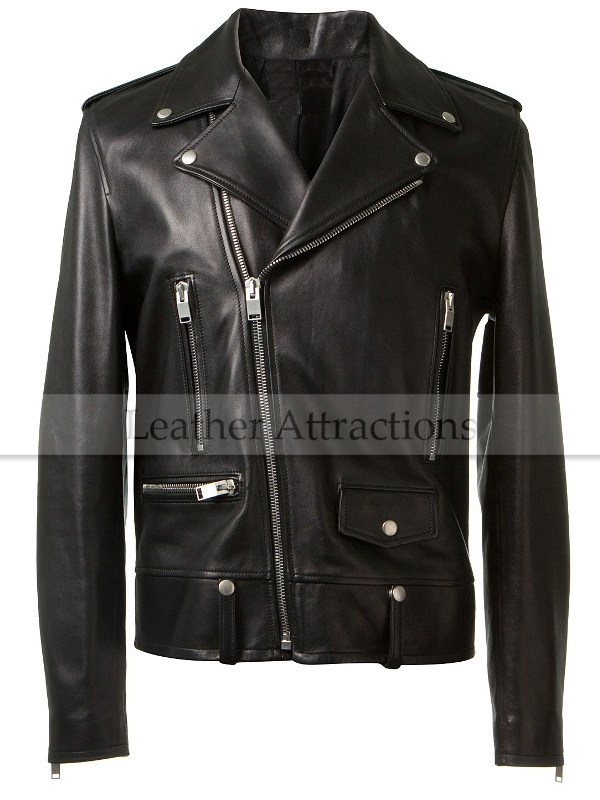 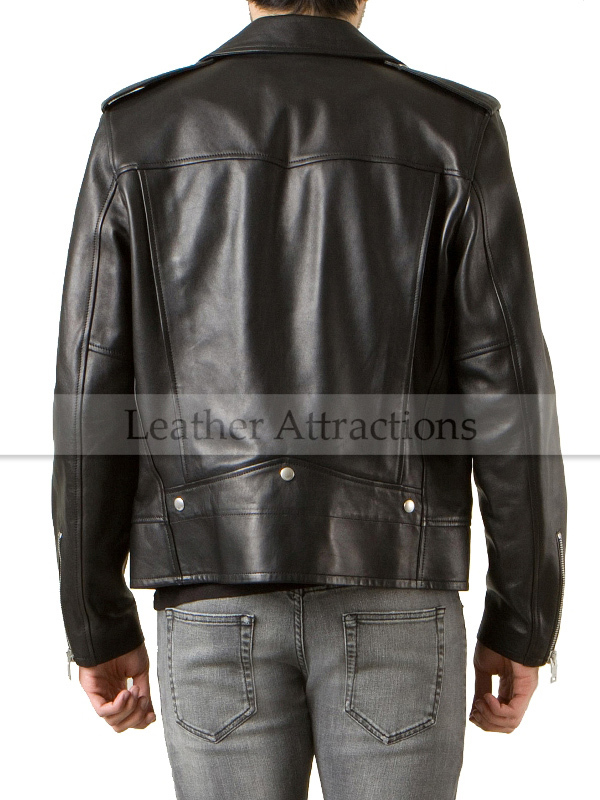 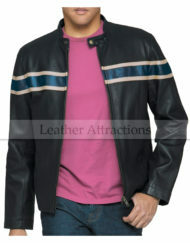 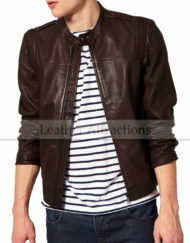 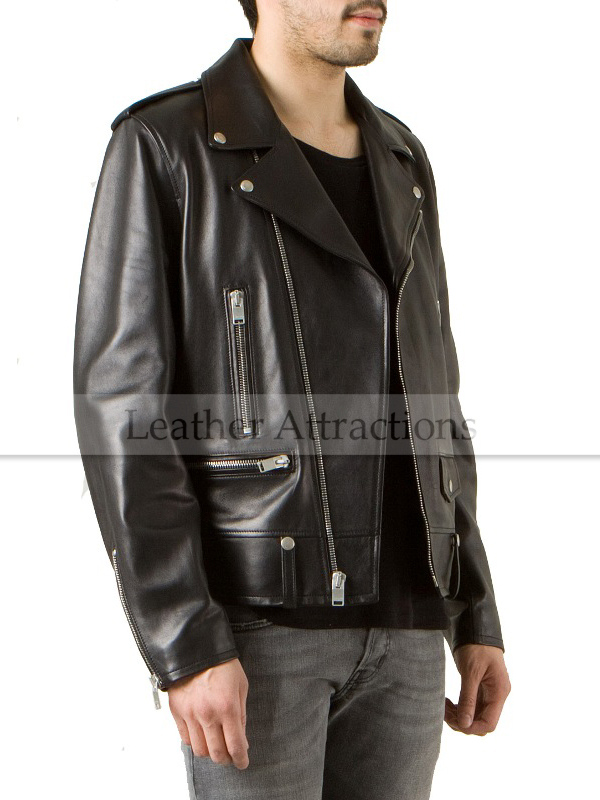 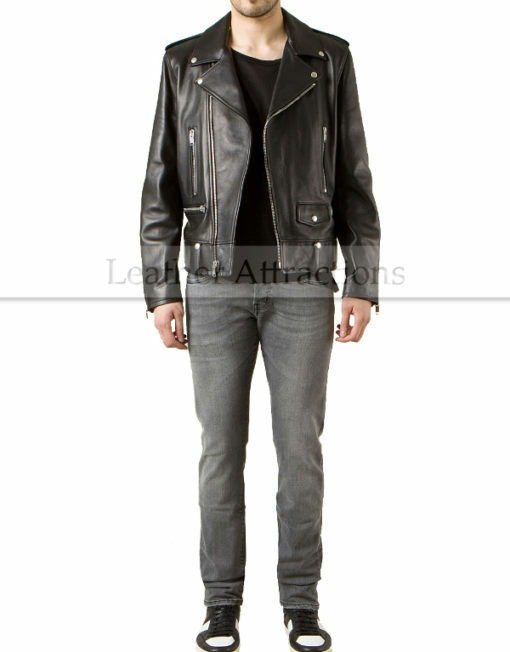 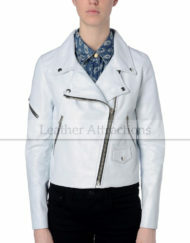 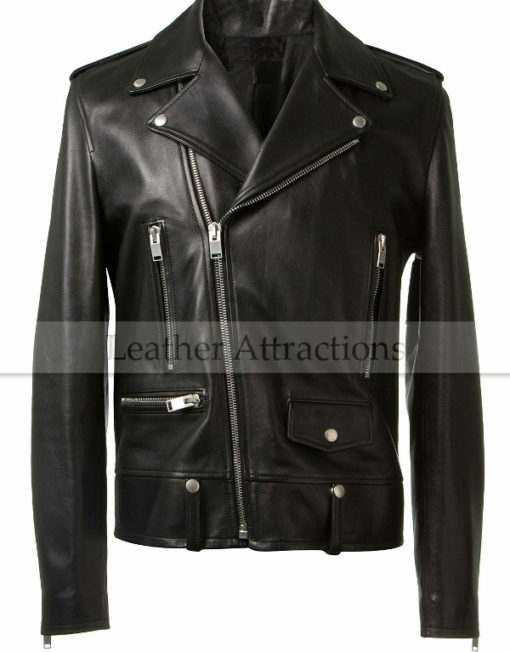 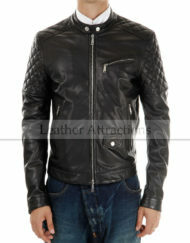 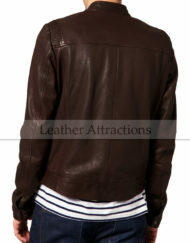 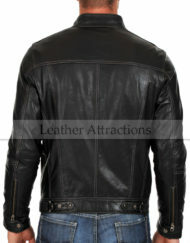 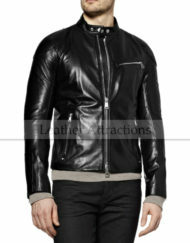 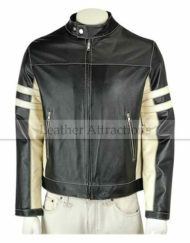 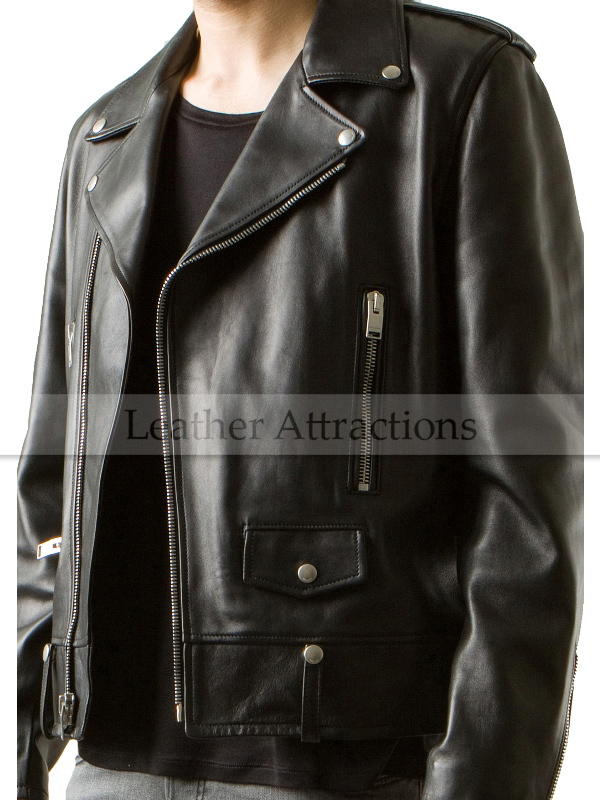 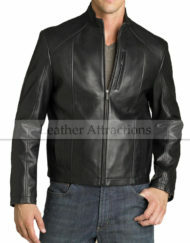 This popular retro biker style has made a great come back that is packed with nostalgia for the 1950's. Marlon Brando's rebellious style biker look evokes as cool today as it was in his heyday. 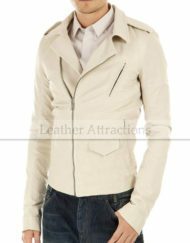 Asymmetrical zip front with notched studded Lapels and collar. 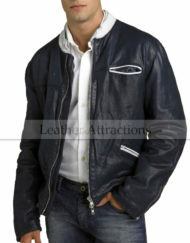 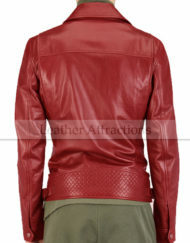 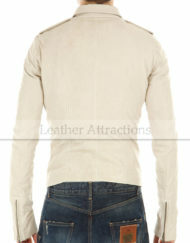 3 zipper pockets with one mini flap pocket accent the front of the jacket. 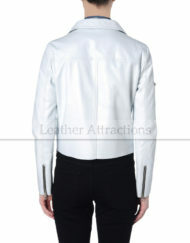 3 decorative silver studs that punctuates the back. 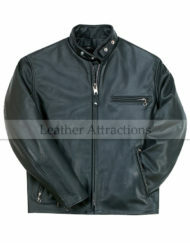 2 inner pockets so your on the go essentials are easy to reach. 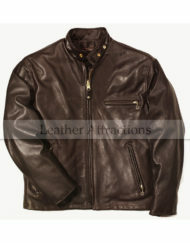 Made with heavy duty Cow Nappa leather. 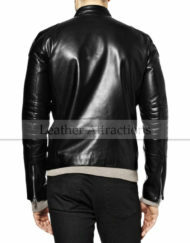 About 25″ length from shoulder to hem at back.